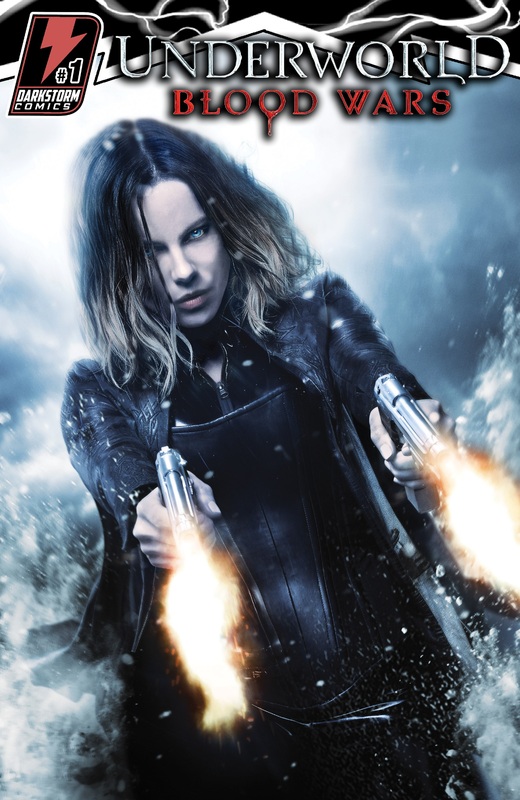 Darkstorm Comics released a nice, beefy 82-page adaptation of the latest Underworld flick, Underworld: Blood Wars, and while I haven’t seen the film, and am thus incapable of drawing comparisons, I can say that this particular book makes for an entertaining read and offers quite the thrill ride. It’s a blast of a book, and it’s great to see the vampires and the lycans going to war in a medium outside of film. Kevin Grevioux writes the story, which feels far more faithful to the preexisting storyline than Underworld: Awakening, while a series of authors step up to provide some variety in the visual presentation. It’s a good idea that works well thanks to the talents of Agustin Padilla, Mario Guevara, and Roberto Castro, who all illustrate certain stretches of the book. They’ve all got very unique styles to one another, and it truly does keep the story barreling forward and feeling constantly fresh. To be honest, I’m a little concerned with the film now. Reading the book was awesome, and I felt as though I was certainly getting my dose of crossover chaos with killer visuals; if the film is drenched in as much terrible CGI as Awakening, I’m in for a major disappointment. Obviously, I’m hoping that isn’t the case, and I’m thoroughly enjoying this storyline on page. Here’s hoping we see some new, original stories in the future! If you’re interested in getting your hands on this one (I definitely encourage you to check it out), it isn’t cheap, but it is attainable. You can order it right here.